ZZ Top guitar slinger Billy Gibbons is easily one of the top blues-rock players to bring raw and raring rock ‘n’ roll out of Texas. 1973’s Tres Hombres is the album that put his boogie-flavored band, ZZ Top, on the map, securing the men their first Top Ten record and making them rock stars along the way. Choc it up to the band’s gut-bucket, upbeat blues-rock and shuffles, with just the right measure of humor and Gibbon’s snarling guitars. 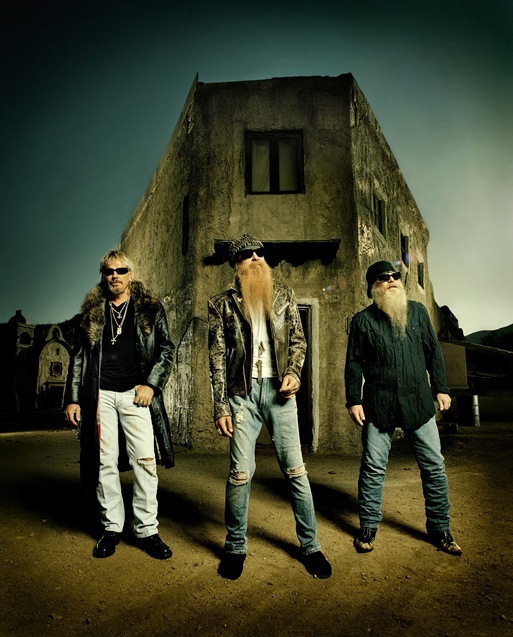 ZZ Top — on top of finishing up a new album for 2012 — are on tour this summer, playing fuzz-blues hits like “La Grange,” “Sharp Dressed Man,” “Gimmie All Your Lovin’” and “Legs” to elbow-to-elbow festival crowds and generations of fans. Mid-tour, Gibbons checked in to talk about his recent collaboration with blues player Leslie West, his desire to jam with Rolling Stones guitarist Keith Richards (you out there, Keith?) and ZZ Top’s surprisingly simple secret to success. Generations of guitar players look up to you. What players do you admire? Jimmy Reed, Jimmie Vaughan, Bo Diddley, all the King’s, Clapton, Keith Richards, Jeff Beck, Muddy Waters, Jimi Hendrix, Jimi Hendrix. Yeah, he’s in there twice, and that’s on purpose. You just worked with blues guitarist Leslie West for a track on his upcoming album, Unusual Suspects. What was it like working with Leslie? Simply terrific. Leslie’s fast. The affair of getting together and trashing it out can’t be beat. Is there anyone still out with whom you would still like to collaborate? Absolutely. Keith [Richards], are you busy? Pearly Gates. Gibson completed a tribute to Pearly that plays and sounds true to form. Why do you think ZZ Top’s music has survived and thrived so long? It’s all about having a good time. Another good reason to get the good times rolling. You’ve done a variety of appearances lately, including appearing on the TV series “Bones” and playing on the last show episode of “The Tonight Show with Conan O’Brien.” What’s your favorite? “Bones” is great because the creators, the writers, directors, crew and cast are so cool to work with. And with a TV “daughter,” played by Michaela Conclin — who is a sweetheart, by the way — is smooth as silk as the character Angela ‘Pearly Gates’ Montenegro. She got a jump-start in life with a name like that. Come on out and see us. It’s gonna be loud, down and dirty!